Put melted butter in a small bowl. Mix cinnamon and brown sugar in a small bowl. Cut biscuits into 4 pieces. Roll each piece in melted butter, then roll into the brown sugar mixture. Add each coated piece to the crockpot. 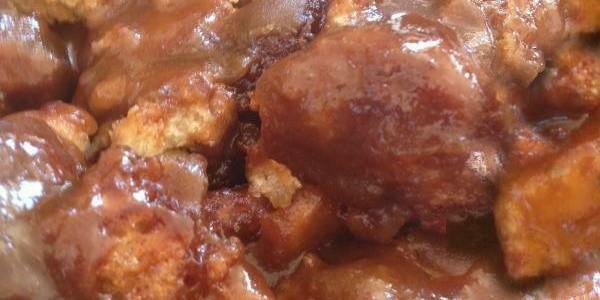 When all biscuit pieces are used up and in the crockpot, pour remaining melted butter and brown sugar mixture on top. Pour corn syrup on top of the brown sugar mixture. Put the lid on and cook on low for 2-3 hours.